CTL CEO Erik Stromquist was right in the thick of things in Las Vegas last week but the Oregon-based Chromebook maker’s leader wasn’t there to debut a new device. CTL’s new found partnership with Sprint and their deep ties with Google were reason enough to make the trip to CES. Instead, CTL is looking to make a splash at the annual BETT technology in education show that will take place in London next week. Ahead of the event, CTL has unveiled their own iteration of the OP1 Chrome OS tablet already being produced by Acer and now ASUS. Before you get too excited, CTL has done exactly as ASUS did and pretty much reskinned and rebranded the Acer Chromebook Tab 10. Now, that’s not a bad thing. I just didn’t want to get your hopes up that this would be a never-before-seen tablet. 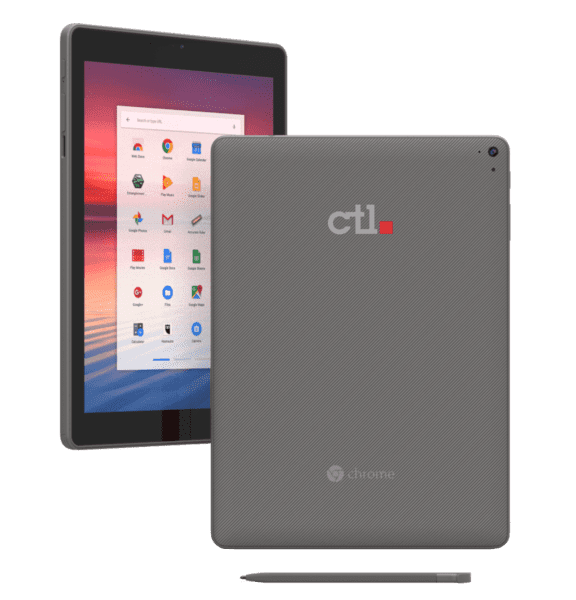 CTL has been killing it lately with an expanding Chrome OS lineup and the best part is that they are offering devices comparable to the larger OEMs at significantly lower prices and we love it. It appears that the CTL Chromebook Tab Tx1 will not be an exception. While ASUS has yet to announce pricing for their tablet, Acer’s Tab 10 remains somewhere in the realm of $330 on any number of reselling sites such as Newegg or Amazon. I know, another RockChip Chrome OS tablet may not look very exciting on the surface but there’s more going on here than meets the eye. CTL is bringing us devices that match the specs and features of devices from the big manufacturers and they’re doing it for less money! On top of that, they offer qualifying EDU accounts free bulk shipping, pre-paid 2-way RMA service and a guaranteed 5-day turnaround on repairs. Erik and the team at CTL are doing it and doing it right. I sincerely hope that larger companies will take notice of what these guys are doing over in Oregon so that we can see more competitive pricing as the Chrome OS ecosystem grows. The market is primed and companies like CTL are going to take full advantage of that fact if they keep doing what they’re doing. The CTL Chromebook Tab Tx1 is currently up for pre-order directly from CTL with availability expected in February. Learn more at CTL by following the link below. If you happen to be in London next week, you can chat with the guys from CTL by stopping by their booth at BETT at the Excel London. You’ll find them at stand B232.